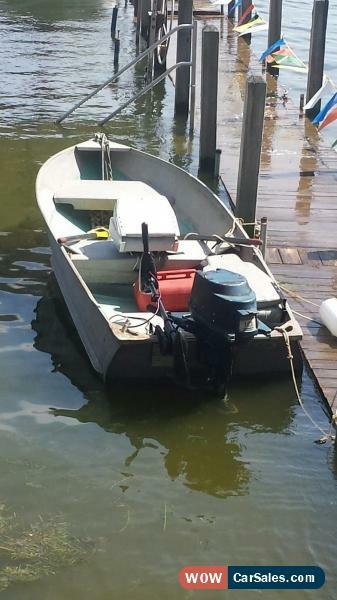 For your consideration is an older aluminum row boat that is light weight and water tight. 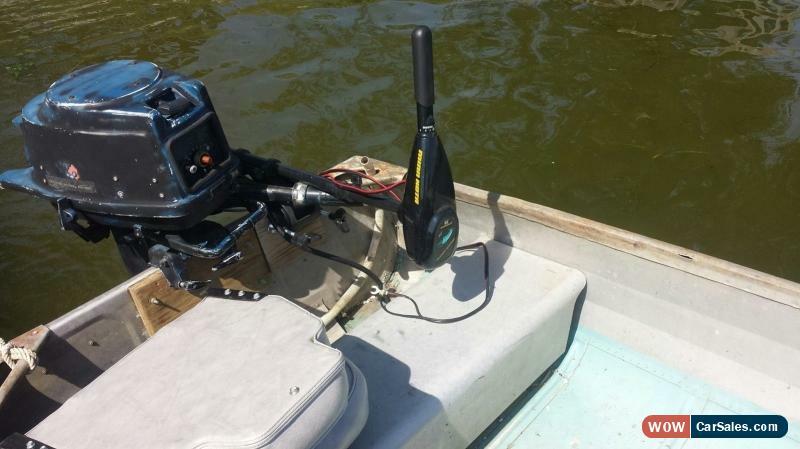 Powering it is an older 10 HP Johnson outboard engine that still runs strong and a low hour 30 lb thrust Minn Kota electric motor. 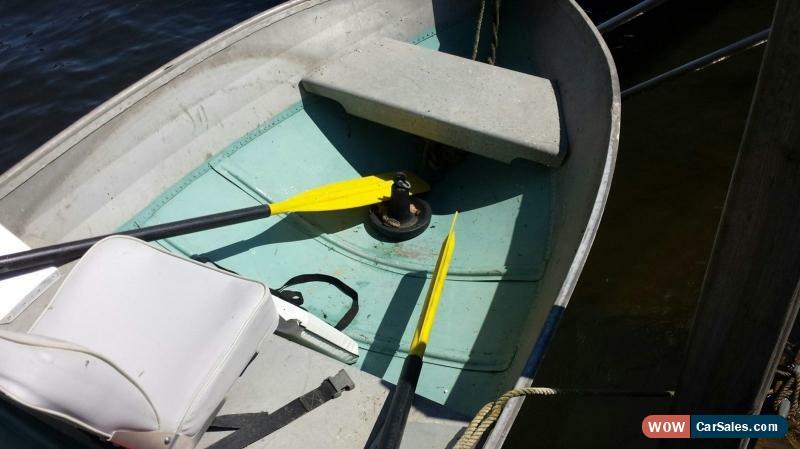 Also included are the gas tank line, two padded swivel seats, set of oars, an anchor, and throwable cushion.